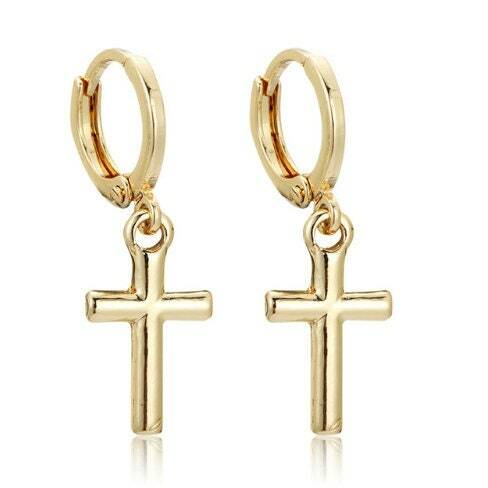 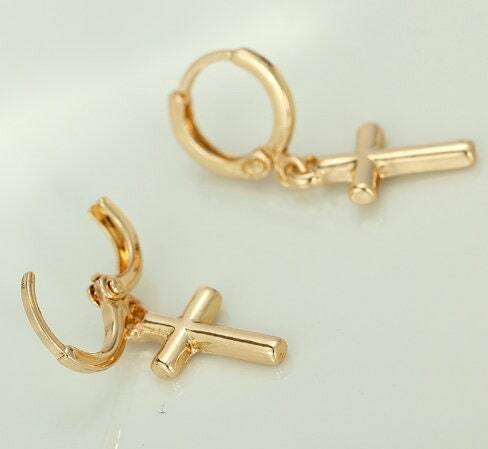 Over the top Dainty Silver or Gold Plated positive locking Cuff Cross Earrings. 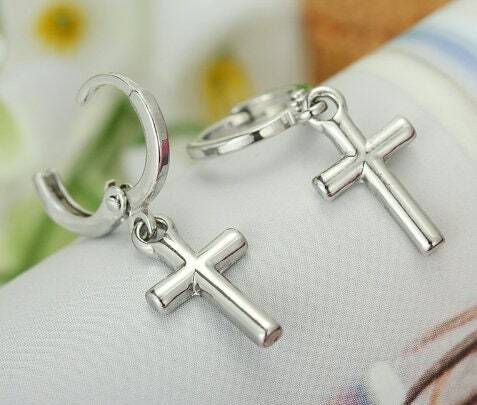 These dainty Hearts measure 1” long x 5/8” wide. 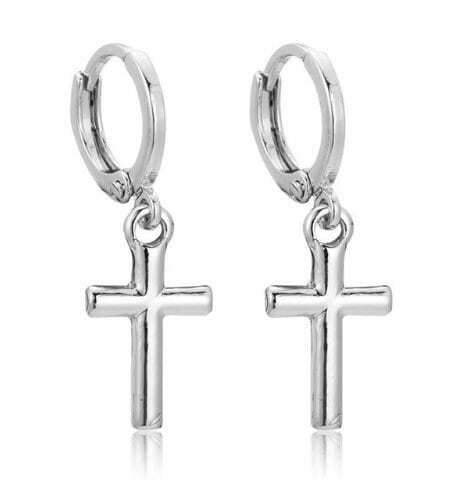 Select from Gold or Silver Cross.